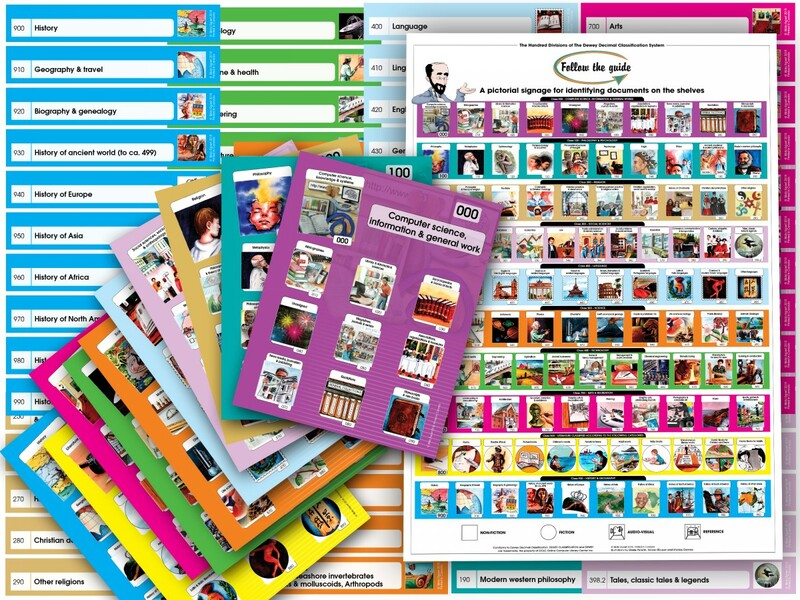 On these posters, the 800 class is adapted to classification according to the type of book; in other words, books are categorized first by type (Poetry, Theatre, Picture Books, Novels for Children, Teen Novels, Novels for Adults, Baby Books, Essays – Speeches – Satire and Humour, Comic Books for Children and Teens, and Comic Books for Adults). According to your preference, you may then choose to use either the author’s name by alphabetical order or the Dewey Code. You may also decide to add Follow the Guide! (800 standard) shelf labels to meet your needs for the classification of novels for adults according to the Dewey System.